SBU Libraries will hold a workshop for liaison librarians on Tuesday, June 23, 2015 at the Wang Center. 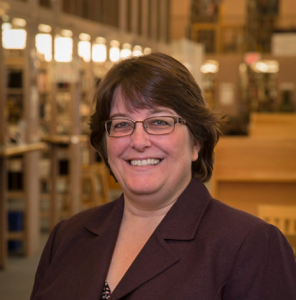 There will be a presentation by Tracy Gabridge, who is the Associate Director for Research and Instructional Services at the Massachusetts Institute of Technology (MIT) Libraries. During the MIT Libraries reorganization from 2008-2010, Tracy worked on a small team to implement a whole-library reorganization and was the first department head responsible for bringing together all library liaisons focused on outreach, instruction, reference and selection. Tracy gets the most satisfaction at work through matching and evolving valuable library services to the highly dynamic needs of the MIT community. She began her work in libraries in 2000 after a successful career as an engineer for AT&T Bell Laboratories and Lucent Technologies. She holds a B.S. and M.S. in Electrical Engineering (MIT and Columbia, respectively), and a M.S. in Library and Information Science from the University of Illinois, Urbana Champaign.